Harry Potter has captivated the imagination of millions of children. And Harry Potter has caused controversy in churches and schools. What's a parent to do with the magical, mystical world of Harry and his friends? Gina Burkart chose to read the books with her own children. As they read together, she discovered many parallels between Christian faith and the themes of these books. Indeed, the escapades of Harry Potter sparked significant conversation between Burkart and her kids. // In this helpful, entertaining guide, Burkart shows how Harry Potter fits into the tradition of fairy tale writing and how this type of literature aids in building a moral framework. She highlights specific situations and emotions from Harry's world that children face in their own life, such as fear, anger, bullies, diversity and the choice of good over evil. 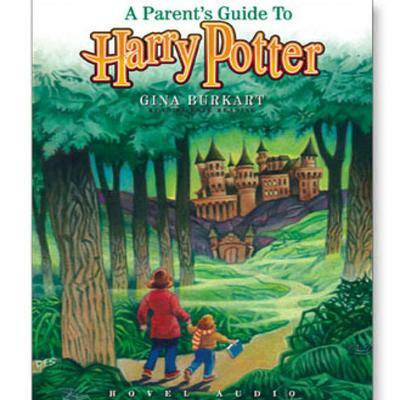 Instead of magic words or easy answers, Burkart offers solid, practical advice for helping parents and children navigate Harry Potter's world--and our own--together.